Below you can view all the homes for sale in the Edgewood subdivision located in Atlanta Georgia. Listings in Edgewood are updated daily from data we receive from the Atlanta multiple listing service. To learn more about any of these homes or to receive custom notifications when a new property is listed for sale in Edgewood, give us a call at 404-998-4097. This Is Intown Living At Its Best! MLS#6539596. Red Door Realty Atlanta. Built To Highest Standards, Meeting And Exceeding Certification Requirements. MLS#6536034. Coldwell Banker Residential Brokerage. Only A Short Stroll To The New Memorial Corridor, Beltline, Shopping, Retail I20/I75. MLS#6529540. Compass. Close To Candler Park, Edgewood District ****Won'T Last Long! **** Call Today! MLS#6528153. Solutions First Realty, Llc.. The Fenced In Back Yard Is Perfect For Pets To Run Around And Explore. MLS#6527168. Jar House Llc. Back Patio And Low Maintenance Yard. Truly Stunning! MLS#6524989. Palmerhouse Properties. Fireplace, 10 Ft Ceilings, Casement Windows, Sound Proofed, Convenient Location, 2 Car Garage, Guest Room/Home Office On Main, Beautiful Full Bathroom, Hardwoods, Pantry, Large Island, Contemporary Lighting, Quartz, White Kitchen, Stainless Steel Appliances, Front And Rear Sodded Yard, 2 Spacious Rooms On Next Level W/Master,Tub And Shower, Double Vanity, Laundry Up, Top Floor Has Wet Bar, Bedroom/Bathroom, Rooftop With Retractable Awning. Quality! MLS#6524092. Atlanta Communities. Edgewood'S Retail District, Pullman Yards Redevelopment, Memorial Drive Corridor, And The Atlanta Beltline Are Just A Few Intown Assets That Make This A Prime Location To Live And Be Close To Everything. MLS#6520439. Keller Williams Realty Metro Atl. Ideally Located Near Edgewood Retail District, Interstates, Parks And Local Festivals MLS#6520282. Karafotias Realty Company. The Third Floor Gives Way To The Secondary Bedrooms, Allowing The Children Or Visiting Family Their Own Level! This Wont Last Long!!! ! MLS#6516902. Exp Realty, Llc..
Two Car Garage With Extended Driveway. MLS#6516904. Atlanta Peach Realty, Llc.. Walk Everywhere As Edgewood Marta Is 2 Blocks Away. Brilliant! MLS#6512917. Keller Knapp, Inc.. Plenty Of Opportunity For This Home And This Lot. MLS#6129290. Keller Williams Rlty-Ptree Rd. We'Ve Added A Second Dedicated Parking Space MLS#6127668. Atlanta Fine Homes Sothebys International. Close To Edgewood Shopping Center, The Beltline, Kirkwood, East Atlanta Village, Glenwood Park, Marta & Future Madison Yards MLS#6127657. Re/Max Around Atlanta Realty. A New Lawn And Fresh Landscaping And A Massive Front Porch, Comes With A One Year Home Warranty This Is A One Of A Kind In Edgewood!!! ! MLS#6126442. Chapman Hall Realtors. Marketing To Ideal Tenants Providing Commercial Interests To Computer-Based, Internet Or Virtual Office Consumers, Artists, Self-Employed Or Work From Home Professionals, Or Other Low Traffic Clientele Businesses. Commercial Financing Only! MLS#8510375. Berkshire Hathaway Homeservices Georgia Properties. Lot Dimensions: 35' X 60'. Bring Us An Offer! MLS#6109748. Palmerhouse Properties. Plantation Shutters And Blinds Throughout The House. MLS#6105042. The Sell Group, Llc..
Easy Access To Shopping And I-20. MLS#6102121. Re/Max Metro Atlanta Cityside. Stunning Master Bath W/ Period Fixtures, Rain Shower, Soaking Tub, Carrara Marble Accents/Countertops On Dual Vanities. Ample Storage & Study Too! MLS#6092437. 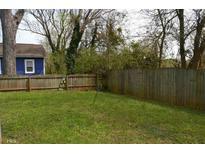 Rogers Realty Consultants, Llc..
Mud Room Leads Out To Fenced Back Yard With Parking Pad. MLS#8466056. Sanford Realty Company, Inc..
*Perfect Home For 1St Time Home Buyer! 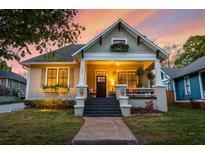 MLS#6077803. Era Atlantic Realty. Leased Thru 7/2019 At $2750 Seller Will Buy Out Tenants For Right Offer. MLS#6010823. Palmerhouse Properties.